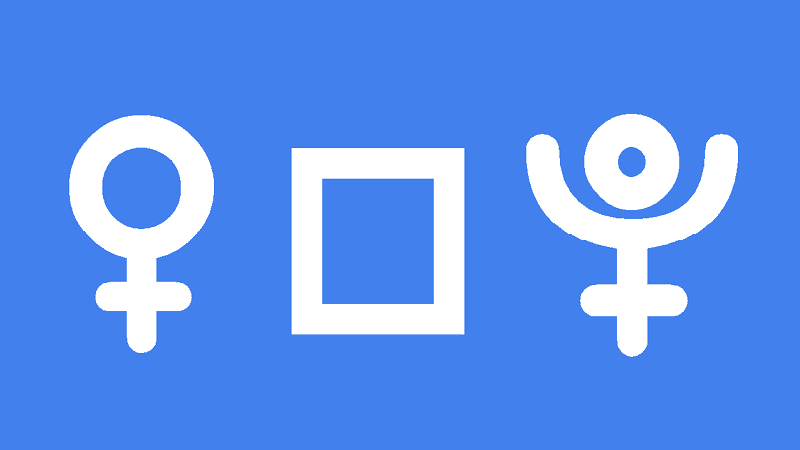 Venus square Pluto in the natal chart complicates your close relationships because of the intensity of your feelings. Not your general mood and feelings, but how you feel and show love and affection. When you become attracted to someone, this intensity can show as infatuation or even stalking. You simply fall deeply in love but sometimes your behavior can be threatening or overbearing to others, especially while you are young. With age comes the ability to hide the more negative behaviors. But to have your goals for true mutual love fulfilled, you must transform, not hide, those destructive behaviors. These negative behaviors mainly center around gaining total control of the relationship, so that you need not feel insecure or worried it might end. This can result in manipulative behavior like jealousy, guilt trips or possessiveness. Using your power to force someone to love you will ultimately end in a breakup, which of course, would be extremely painful and dramatic for you. But it is only through such intense relationships that you gain the self-awareness of your manipulative or controlling behaviors. Then you can use your immense power to positively transform how you give and receive love. This process may be painful because you will come to realize that self-love is the real issue. Once you learn how to really love yourself, then the unconditional love and approval you seek will be at hand. Before you reach the realization of the need for self-love, you may be attracted to dangerous partners or those who treat you badly. You may actually be attracting such types subconsciously because of your poor self-image. Transiting Venus square Pluto can have a profound effect on your love life. Power and control issues may arise in existing relationships. Simmering tension may come to the surface as some manipulative behavior like jealousy or possessiveness. At the root of such behaviors would be a deeply buried fear or insecurity about not feeling loved or valued. Of course, it may be you who is subject to such behaviors from a partner. Threats and ultimatums are possible if either partner feels smothered or controlled. An unhealthy relationship may breakdown which would be very painful or dramatic. A well based relationship will withstand the intensity of this transit. In this case, there would still be some kind of transformation undertaken within the relationships dynamics. New love is possible now and it could seem like instant attraction. However, you must also realize that such an infatuation may lead to an abusive or even violent attachment. Chuck Berry 0°08′, Goldie Hawn 0°09′, Walter H. Diamond 0°11′, Alan Villiers 0°12′, Shirley Temple Black 0°24′, Rod Hunley 0°36′, Mary MacArthur 0°46′, Princess Eugenie 0°57′, Colleen McCullough 0°58′, George Bernard Shaw 1°00′, Kevin Kline 1°02′, Michael Moore 1°06′, Sid Vicious 1°15′, Hillary Clinton 1°23′, Ryan O’Neal 1°26′, Julian Assange 1°41′, Warren Buffett 2°09′, Bruce Lee 2°51′. This Venus in Pisces tried to love him (with Venus square Pluto) unconditionaly but the emotional abuse was just too much even for this Venus sign. At 63 he has yet to overcome his poor self image and is hitting the bottle instead of working on these issues. I will be thinking of him for a long time to come……. I suffered a tragic setback in a new relationship on 7th september with nearly end of the same. Maybe this transit was responsible. Any hope down the road to restore it Jamie?? I think pluto has created havoc this year for me. Give it time Tina. The lunar eclipse on your Venus only happened a day or so ago. It will last for six months. Rememberyou have Venus trine Pluto so even though you feel things so deeply, you can transform your love life life more easily than others. How far apart are the degrees allowed for this aspect? Oh dear.. 2 weeks ago I met my cousin (I never grew up with him). He wanted contact with the family again. When we met there was an instant attraction between us. I have a partner and kids. We feel a lot and deep for eachother even romantically. We know it’s not right. Last week we were drunk and kisses and such.. hè slept beside me. Since then it feels obsessed.. cant eat, my whole body feels Electric. When we see eachother it’s tooo intense and hot. We are in eachother heads and emotions. When we see eachother we are shaking and nervous. So Ive done a compatibility chart. We have pluto square venus. Now hè gets drunk most nights and one hand he’s understanding to stop I feel I cant breathe.. and then he’s threatening me.. saying things like im his, he’s going to take me (sexually), Im not allowed to walk out of his life anymore. Blurting things out like tell the whole family! Im quite scared and overwhelmed with this unexpected impact on my life! I dont know what to do… Yeah I want distance. He’s been in prison before for hitting his ex. I can’t talk to anybody about this. I feel physically Ill and hè feels madly in love. Put distance between you. Cut off contact. Any contact. Involve a family member, religious person, a cop, a lawyer. Any figure of authority you can think of. Not to be alone. I’m serious. You can’t fight this lone. Ask for help. Make it clear you want no contact with him. And stick to it. Move away nor go away for a while. Be honest with your home partner and tell him you want to win this with him. Can you please do Pluto conjunct Venus transit?! Love your site and visit multiple times a month. Especially appreciate your new, Full Moon and mercury retrograde posts. Well, as someone with a 10th house Taurus Venus squaring a first house Pluto conjunct the ascendant, I should be totally messed up in relationships. What I’ve notices though is that people high up in organizations take a shine to me causing jealousy from other employees who feel i didn’t do anything to deserve anyone’s favor so my energy is trying to find out how to keep people from feeling that threatened. Not always successful as some of them were just true sharks. When I ran into those I generally just walked away from the position and found another. Any suggestions as to why my Pluto/Venus should express itself that way? Out of curiosity, what I can expect if venus transit is also making a conjunction to natal pluto (conjunct IC 22.12) and activating the natal square Pluto – venus…. I feel like it will be explosive but could it bring something positive? .. worry about the fact that it will also be an aspect of my solar return? Any tips on how to handle this? Thanks! !